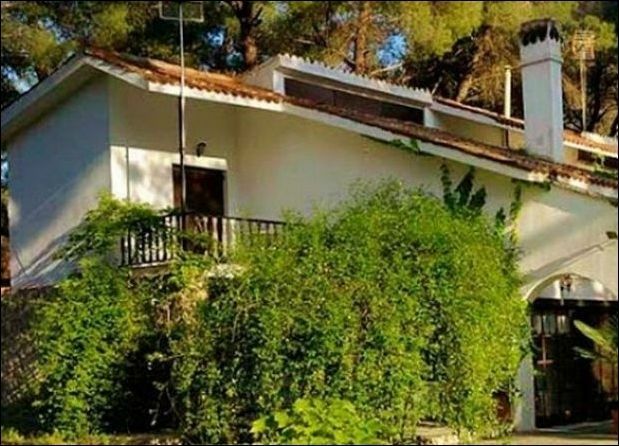 The floor area of the villa is 100 sq², is built in 2 levels in a private property of 1.500 sq² full of trees and flowers. 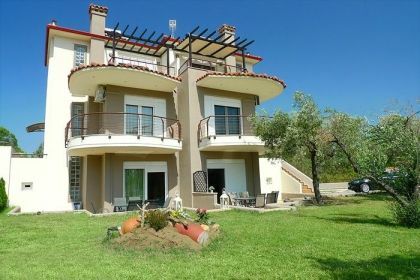 The villa is located inside the housing estate of the Aristotle University of Thessaloniki teaching staff. The ground level consists of a living-room, dining-room, fireplace, a fully equipped kitchen and a guest toilet. In the living room there are three single bed sofas. The upper level comprises a room with a double bed, a room with twin beds and a two single bed sofa and a bathroom with tub. Both rooms have ceiling fans and balconies in the front and the back. The ground level of the villa has direct access to the garden both in front and the back. 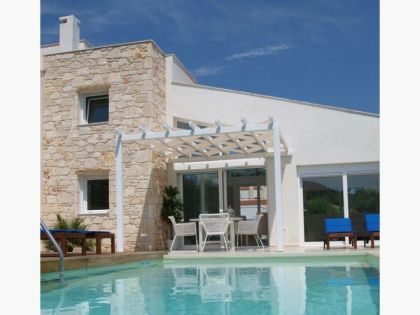 In the front there is an outdoor pergola shaded veranda and a covered terrace at the side of the villa, which is very cool during the summer.